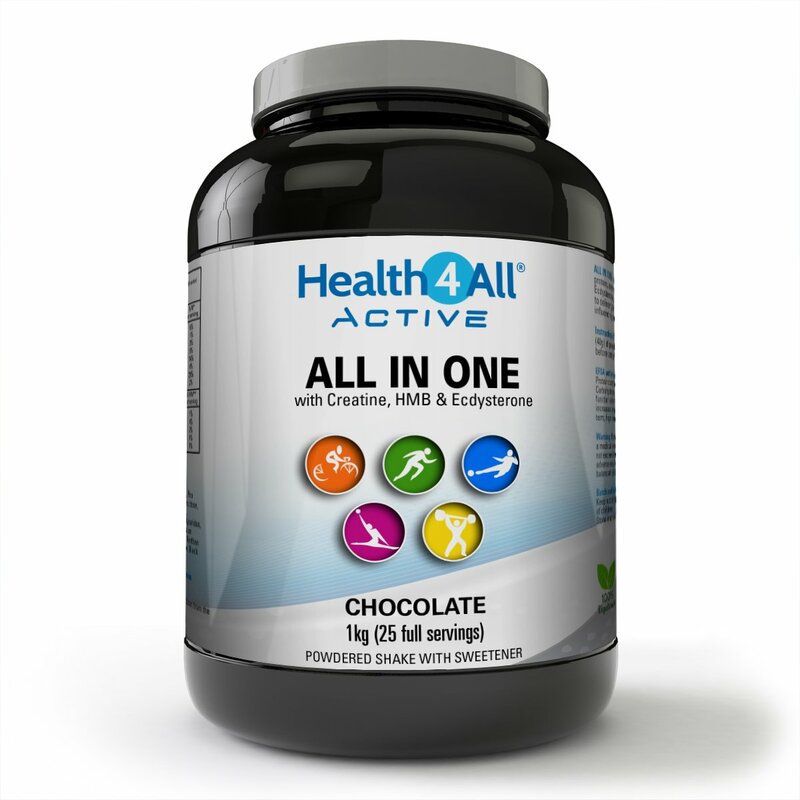 All in One is advanced blend of carbohydrates and protein, enriched with Creatine Monohydrate, HMB, Ecdysterone, Medium Chain Triglicerides and Chromium to deliver great pre- and post-workout nutritional support influencing muscle growth, performance and recovery. Protein contributes to a growth and maintenance of muscle mass. Carbohydrates contribute to the recovery of normal muscle function after highly intensive physical exercise. Mix approximately two level scoops (40g) of powder in 400ml of milk. Use 2-3 servings daily, before and after training. Whey Protein Concentrate (Milk), Pea Protein, Soya Protein Isolate, Maltodextrine, Fructose, Dextrose, Creatine Monohydrate, L Glutamine, Medium Chain Triglycerides, HMB (beta-Hydroxy beta-methylbutyric acid), Potassium Bicarbonate, Sodium Bicarbonate, Xanthan Gum (thickener), Sucralose (sweetener), Beta-ecdysterone, Black Pepper Extract, Chromium Picolinate, flavouring: Cocoa Powder / Strawberry Flavour, Beetroot Powder (colour red) / Vanilla Flavour. This product may contain traces of nuts and gluten from production line. If you are under medical supervision, pregnant or breastfeeding, seek medical advice before use.